Johannesburg - Various political parties have reacted to the President's State of the Nation Address held at Parliament. And President Julius Malema said President Cyril Ramaphosa has copied EFF's ideas in his SONA speech. "The President has abandoned the ANC's manifesto and decided to plagiarise the EFF's manifesto. This is a clear indication that the President has got nothing to offer. 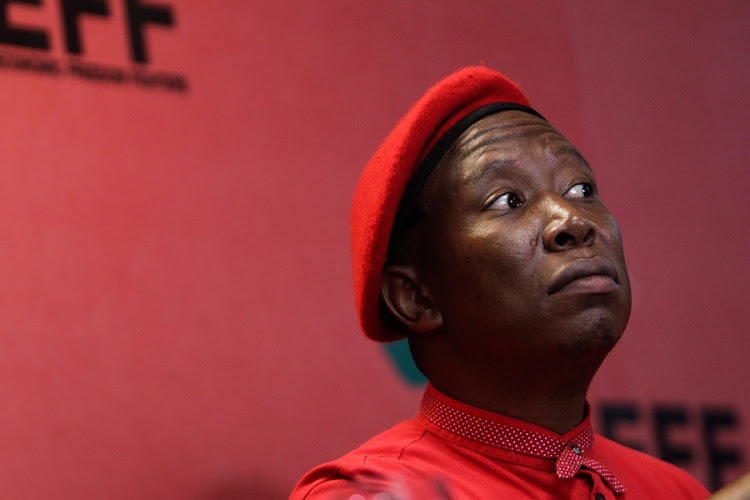 "We are happy that he himself acknowledges that this is the last State of the Nation Address, he will go done in history as the last President of the ANC," says Malema. The red barate leader says officials who are found guilty in the commission of enquiries that are going on should be jailed. "They must go to jail and lose their pension funds so that that money will be relocated from where they stole the money from," Malema added. DA's leader Mmusi Maimane says Ramaphosa’s first year as a president has been a “State of No Action”. "This evening’s State of the Nation Address (SONA) by President Cyril Ramaphosa is proof that the President has chosen to put the interests of the ANC ahead of the interests of all South Africans. Despite the desperate need for immediate action to fight unemployment, corruption and crime, the President failed to take the difficult decisions required – preferring to put the ANC ahead of South Africa," said Maimane. Newly formed GOOD leader Patricia De Lille says she is happy about the basic education strategy announced by Ramaphosa as well as the corruption bursting plan. "I'm very happy about early development centres that are going to be compulsory, that is going to have a major impact on our children," said De Lille.